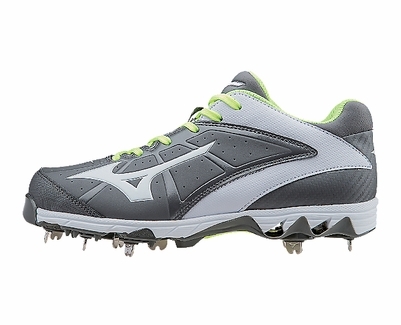 The 9-Spike Swift 4 Elite Women's Softball Spike features Mizuno's Wave technology sole to disperse impact forces away from the foot for a smoother, more cushioned feel on every step. The 9-Spike Swift 4 Softball Shoes are performance designed for female players who seek the most comfortable and durable fast pitch spike. 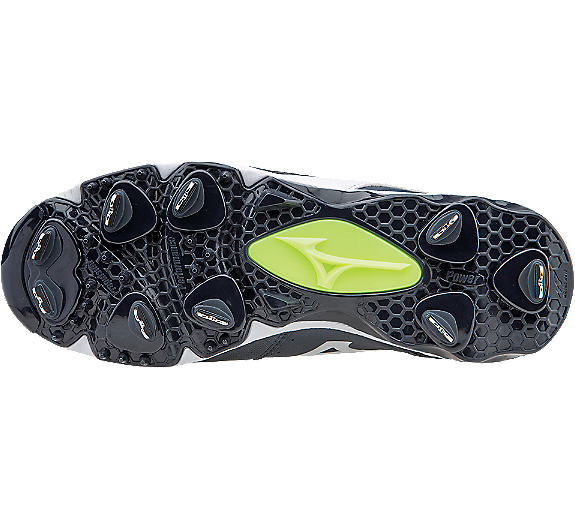 � 9-Spike Outsole designed for superior traction and comfort. 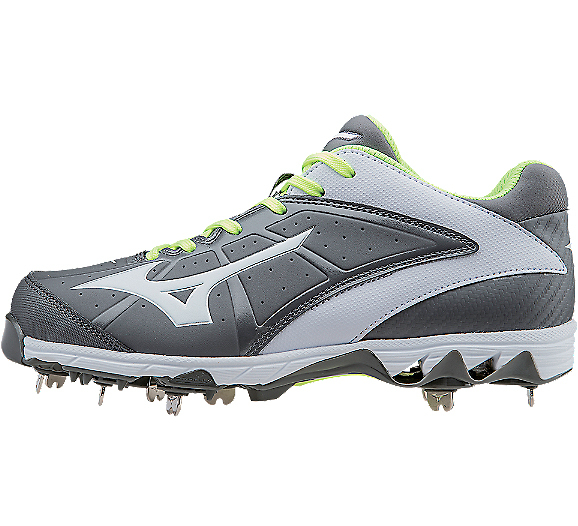 � Mizuno Wave technology provides the right amount of cushioning and stability. � Full length mid-sole for maximum comfort. � Padded 'booty' tongue for superior fit and comfort. Sizing Note: Mizuno shoes tend to run about half a size smaller than other brands like Asics, Adidas, or Nike. For example - if you wear a size 9 in Adidas, Nike, etc. Then you should order a 9.5 in Mizuno.